Located only one mile from Leeds City Centre, New Wortley is home to 1,500 residents. It is one of the most deprived communities in the city, being disproportionately affected by anti-social behaviour, health inequalities and high crime rates. The area already boasts a health and wellbeing community centre, provided by New Wortley Community Development Association (and funded in part by Power to Change) which is a valuable resource for local community members. 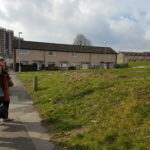 However, after a mini riot broke out on the estate and residents voicing demand, the Association took action to further regenerate the local area through a housing scheme. A housing sub-group was established from the community centre and successfully applied for £74,580 of grant funding from Power to Change to develop their project on a piece of land in the area which the council has been encouraging developers to build on for 14 years. The land is expected to be transferred to the Association through community asset transfer (CAT) for a peppercorn rate. It comes down to who is going to build affordable housing. And as a charity, in the community, we are probably best placed to do it. We’re the ones to give it a go! 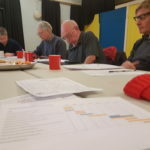 Whilst also undergoing a housing association application process and securing further grant funding and investment, New Wortley Community Development Association have also diligently been in consultation with their local community members on plans for the housing development. Community members both young and old were regularly called upon for their opinions on issues such as building materials, the landscaping of the outdoor spaces and the number of bedrooms in the houses. 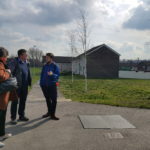 These consultations took place in the community centre, GP surgeries and schools in the local area and resulted in no residents being opposed to the housing project – a true testament to the local demand and project’s accountability. 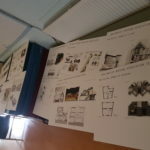 The architect for the development and architecture students from Leeds Beckett University, who are also working on the project, were all involved in the consultations to ensure that the final building plans are truly collaborative and represent the wishes of the local people. The group hope to use innovative prefabrication building techniques to build the homes and hope that decisions on housing allocation will be split 50/50 between the housing association and the local council. This will enable them to fulfil their original aim of providing affordable housing for the residents of New Wortley, whilst also meeting the demand for housing from families in Leeds more widely.